In the effort towards completing the comprehensive guide to Spiti Valley, in this article, let me enlist some of the preferred places to stay in Spiti Valley and Kinnaur Valley. All these places of stay in Spiti Valley and Kinnaur are in the range of Rs 500 per person and go well beyond Rs 1500 per person depending on comfort, food, and facilities on offer in them. Of course, the season you are traveling also impacts the prices of your stay in Kinnaur and Spiti valley. However, with many of the hotels or guest houses mentioned in this article, you can make a budget trip to Spiti Valley. Where to stay in Spiti Valley and Kinnaur Valley? What about Homestays in Spiti Valley & Kinnaur? Can I camp at Chandratal Lake? There is no dearth of options to stay in both Spiti Valley as well as Kinnaur Valley but it is always good to know which hotels or guest houses are popular among travelers and which of these hotels or stay options are better to avoid. It always saves us a lot of hassles especially when we are traveling with families. Most of the people start the road trip to Spiti Valley from Shimla side, enter Kinnaur Valley then visit Spiti Valley and finally exit Kaza from Manali side. I will be covering the good places of stay on the entire circuit from Shimla – Kinnaur to Spiti to Manali. In time to come, I will keep on adding up on this list so that there could be a central place available to find good hotels or accommodation options in Spiti Valley and Kinnaur Valley. Spiti Valley is a remote place and though accommodation options are good in number but fairly limited with facilities especially when it comes to homestays. 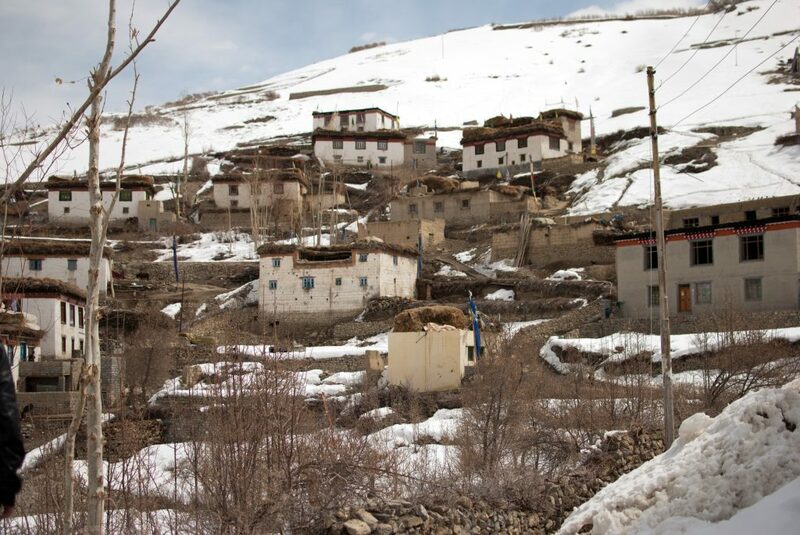 Most of the homestays in Spiti Valley do not have attached washrooms and some even have dry pits especially in the remote villages of Lhalung, Mane, Komik, Demul, etc.. However, in this article we will talk about more or less the hotels and guest houses of Spiti Valley rather focusing on Homestays, which I feel shall be covered under a separate article (already linked in this paragraph). At any given day, if you can get hold of a PWD Rest House in Himachal and can cook food yourself OR are OK with just eatable quality food, then HP PWD Rest House are the extreme value for money options of stay in Himachal Pradesh. In these remote parts of Himachal Pradesh, right from Shimla to Kaza over Hindustan Tibet Highway or NH-05, you can also find many HP PWD Guest Houses which can be opted for stay especially in small villages including Chandratal to Manali / Gramphu road as well. 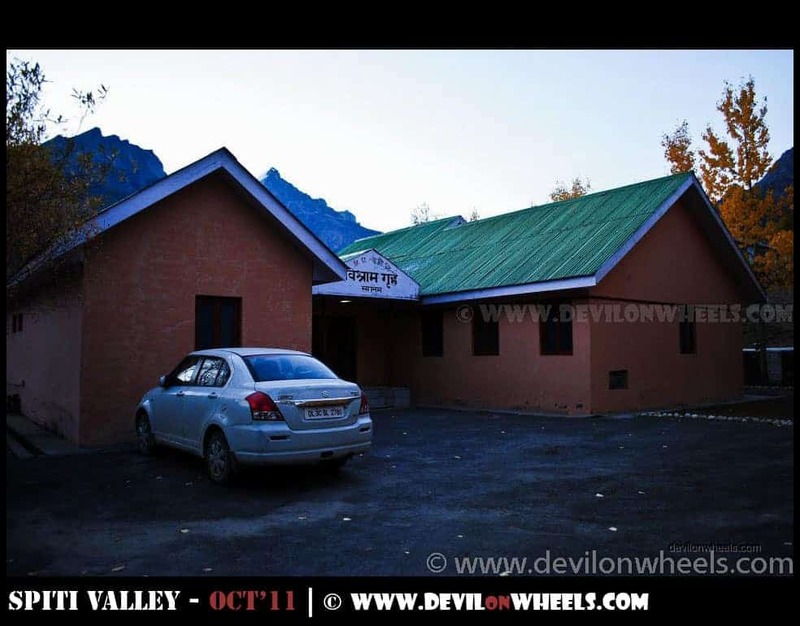 In order to know the details on how to book a PWD Guest House in Himachal, you can refer to my article on How to Book HP PWD Rest Houses or FRHs. Apart from these economical option of stay in Spiti or Kinnaur, let me enlist some good other good hotels or guest houses in Spiti Valley or Kinnaur Valley in this article. As you move from Shimla, you travel towards Kinnaur Valley after covering Narkanda and Rampur. Further ahead of Rampur comes a place called Jeori. A diversion of 12 km off Hindustan Tibet Road will lead you to Sarahan from Jeori. Sarahan is a quaint little town and also called entrance to Kinnaur Valley. It houses a temple that also offer options to stay at an economical price. The first floor rooms are pretty decent. Hotel Srikhand, HPTDC: Location wise a pretty nice place to stay. Run by HPTDC, this is the only decent hotel in Sarahan. Bhimkali Temple Lodge, first floor rooms. PWD Rest House Jeori. Nice place to stay, Pritam is the caretaker and was very helpful on my stay up there. Few homestays and small guest houses have also mushroomed in Sarahan in recent years. As you travel further from Sarahan, you get a bit deeper into Kinnaur Valley and most people stay at Kalpa, Sangla Valley, and Chitkul region. I have already covered all these places in my detailed guide of Kinnaur Valley but here we can check where you can stay at Kalpa, Sangla or Chitkul. Let us first look at Kalpa, which is one of the most visited places in Kinnaur Valley because many people traveling to Spiti valley consider Kalpa as a transit point to Kaza or while coming from Kaza. However, Kalpa offers one of the best sunrises and sunsets in the entire Himalayan range. Hotel Apple Pie, Kalpa a beautiful property with a moderate budget but worth the money spent. Run by the humble and hospitable Aman Bhai: +919857985700, +919999934003. You can refer my name (Dheeraj) or DevilOnWheels to Aman for some discounts. Hotel Rakpa Regency, Kalpa – Ph: +91-9805213356 (Whatsapp), +91-7018831844, 01786-226587. Very decent place to stay, we stayed there at DoW Mega Meet 2014. Raj Sharma, who runs it, took very good care of the entire group. We were more than 60 people and he really took care of each and every one. You can refer my name (Dheeraj) or DevilOnWheels to Raj for some discounts. Grand Shambhala, a bit costly but very nice to stay in case it suits your budget. After Kalpa, most tourists prefer to stay at Sangla Valley or travel to Chitkul. We all know about Chitkul by the name of last Indian Village before Tibet. However, when traveling to Spiti Valley from Delhi along Hindustan Tibet road, you will find many such border villages if you want to really explore without following Instagram trends. Now, let us look at some of the good hotels of guest houses in Sangla Valley and Chitkul. Hotel Apple Pie, Rakcham – Sangla another beautiful property with a moderate budget but worth the money spent and run by the same humble and hospitable Aman Bhai as for Apple Pie Kalpa: +919857985700,+919999934003. You can refer my name (Dheeraj) or DevilOnWheels to Aman for some discounts. Kailash View Camps, just beside the Baspa River at Rakcham in Sangla Valley. Mr. Naresh Negi: 09805380746. Kinner Camps, Sangla – Ph: 094183 39866. Nice place to stay but a bit on a costly side. The first major place that comes in Spiti Valley after entering from Kinnaur side is Tabo village. There are many options of stay in Tabo and you will find so many small guest houses and home stays in Tabo village. Siddharth Guest House, a decent option of stay in Tabo. Tabo Monastery also offers rooms at economical rates. However, stay at Tabo Monastery will be very basic. 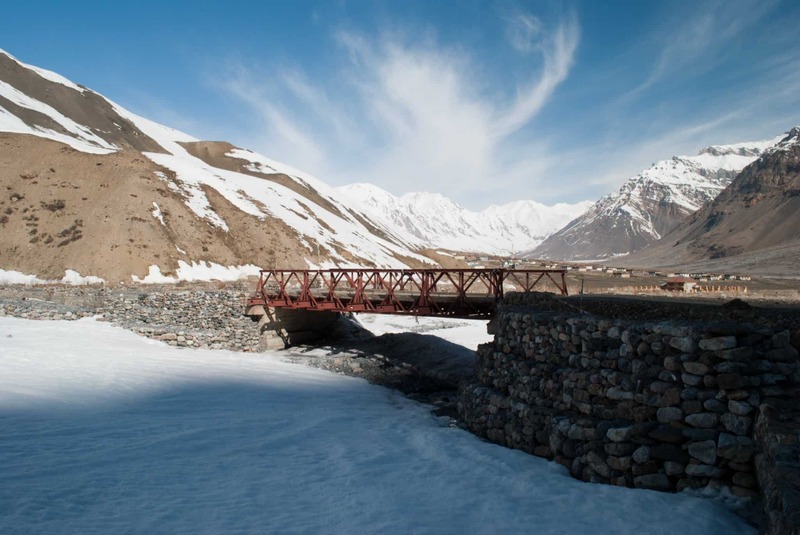 As you move forward towards Kaza from Tabo, you can go over to Pin Valley and stay in Sagnam village and Mudh Village. Pin Valley is one of the most underrated places in Spiti Valley. However, it is one of the most beautiful places in my honest opinion. There is Kunzum Cafe / Homestay too which you can check there. There is a PWD Rest House at Sagnam village too. Finally, you will reach Kaza, where again, there are plenty of options to stay suiting the needs of every budget. However, I only stay with a fixed place in Kaza as it is run by a dear friend Tsering who offers amazing hospitality. There is an HPTDC hotel as well which is also a good option to stay apart from the average quality food. Hotel Spiti Sarai, Contact Tenzin at +91-9418925003 or Ramesh Lotey 09418439247. If you are not interested in Snow Lion or Sakya Abode or Kumphen or Sakya Homestays even, then you can check with Ramesh ji of Spiti Sarai too. Very nice place to stay, about 7 KMs from Kaza. More economic can go with Circuit House or PWD Rest House. Call 01906-222202 and send fax 01906-222215 or 01906222416. These camps at Chandratal are more spacious, have mattresses & quilts and are very comfortable. He does have a dining area & covered washrooms if required. You can refer DevilOnWheels or my name (Dheeraj) to Bishan and he will surely offer whatever best in his capacity. We did stay with him at DoW Mega Meet and everything was managed very well by Bishan. Well, there is all famous Batal Chandra Dhabha of Dorje Uncle which has room for 7-8 people on one side and on the other side they may allow you to stay if there is space available. Most of the space where food is served is occupied by workers and the Dhaba family itself, so if you are lucky you may get space to sleep there as well. They charge Rs 100 per person for a night stay and provide quilts as well. You can take as many quilts as available with them and if not in use by anyone. There is a PWD Rest House as well now at Batal and you can take rooms there and eat at Chandra Dhabha with Dorje Uncle and Auntyji. 08991722020 is the contact number of satellite phone at Batal and you can inquire from him if Dorje uncle can book a PWD Rest House room for you or couple of igloo type huts just in front of Batal dhabha that can save you from cold winds in the evening or night. As far as accommodation or camping at the banks of Chandratal Lake is concerned, it has been banned by the GOVT. So, you need to pitch tents alongside the parking site which is about 2 KMs from the lake from where you need to hike this remaining distance. Please respect the rules and nature else one day it will punish in its own way. There are loads of options here but my all time favorite is Johnsons Lodge. This article has been updated with the latest information about stays in Spiti Valley and Kinnaur Valley. I try my best to keep this list up to date every season. Feel free to suggest any further updates or additions you deem fit. I hope you find the above list of hotels or accommodation options useful for your upcoming Spiti Valley or Kinnaur Valley trip. If you happen to know any updated contact numbers or missing contact numbers of these hotels or any other nice and good option of stay in Spiti Valley or Kinnaur Valley, kindly leave a comment as it will be helpful for other fellow travelers as well looking for similar info. If you have ever stayed at any of these hotels, please share your experience with us too either as comments below or on the Instagram and tag us with @devilonwheels. Finally, if you know your friends or family are planning a trip to Spiti Valley or Kinnaur, do share this article with them to help them make a memorable trip. hi dheeraj, we are a group of 6 friends planning to visit spiti valley from shimla in the last week of february and would like to know good and cheap homestays available on the route from shimla to spiti and also can we visit chandrataal lake at that time? Looking for Budget accommodation in Shimla for a day stay on 23rd Sep.
Could you please provide some contacts. I have tried calling PWD guest houses from the Link above, Most numbers are unattended and a Gentleman said the PWD houses are booked for this month. Need your help, kindly do needful. – Is it safe to cover Kaza-Chandratal-Manali on same day? We can start around 6AM from Kaza. 1 ht stopover at Chandratal. How much time will it actually take till Manali? – Till how much distance of the lake will vehicles go for CHandratal? How many kms of walking required to reach the lake? 1. Yes it is completely possible to cover Kaza – Chandratal – Manali in a day. Just leave Kaza by 6 AM so that you reach Chandratal lake at the time of reflections. It will take about 9-11 hrs to reach Manali from Kaza covering Chandratal in later September as water crossings will be dried. 2. Vehicles can go up to about a certain point from where you need to walk around 800 Mtrs to reach lake. Also, can you suggest if the below itinerary is fine? Hey Rahul, For stay options in Kinnaur and Spiti, check the link: Some Good Options of Stays in Spiti Valley / Kinnaur Valley. Your plan seems to be OK just that you should stay overnight at Tabo on 25th instead of Kaza directly to explore a bit and then further travel to Kaza the next day covering Dhangkar. Thanks for all your help Dheeraj! 1. Are there any better places in Spiti over those what I’ve mentioned ? I’ve 5 nights at disposal for Spiti only. Please suggest with contact details. — For stay check Sakya Abode or snow lion are two good options at Kaza apart from PWD Guest houses. Get in touch with Tsering, the guy who runs it. He is a very good friend of mine and you can refer my name. Thanks for your reply…I really don’t wish to stay at Kaza instead I’d love to stay at Langza, Hikkim or Koumick. Only pre-requisite to stay is attached toilet with room in any of these villages. Do you have any such information or contact ? I’ll exit through Manali and hence won’t come back to Tabo. Yeah, the days marked in KAza can be taken as days marked for sleeping overnight at these villages. All the remote villages will be having home stays and I really doubt that they will have attached toilets. They will have traditional style toilets with dry pits. Yeah, that’s fine if you want to exit from Manali side. Thank you Suresh ji !! Julley, it will be great if you can add pictures and tarrif for the guest house in the DoW Forum. Let me know if you need any help. Any contact details of accomodation options in Dhankar & Key, Kibber village? Well, Sunil, Dhangkar has many home stay options available, Key monastery has a guest house where you can stay and Kibber again has many home stays available. You can land there and walk in to any of the vaailable ones. We a group of 7 are planning to visit spiti valley in 1st week of September 2016. Is it recommended to pre book hotels during this time ? Will hotel rooms be available if we plan to book on spot? We’re planning to go for some budget hotels in mind. If you are OK in searching few places here and there, it is fine to go without booking. i have a query…if we go spiti kaza by car n we have tents is there option to stay in them in any of valley…in kaza…i mean is there any security issue…?? Firstly..thanks for writing such an informative blog..it really helped me planning my trip..i wanted to stay in chitkul and not travel anywhere else…so it was a bit easy..but travelling solo has its own concerns ( especially for parents of a girl) , so i had to atleast go with pre booking of stay..After some online surfing ..i came across ” Samaa Resorts ” website (www.samaaresorts.com)..i immediately called them and spoke to the owner..at first go she really made me comfortable and settled all my inhibitions of travelling solo..and was so looking forward to seeing them.. The day of check in. .she made sure that she was in touch with me to find out if all was ok…when i reached there…Wow…!!! The place is so beautiful and added goodies…Samaa resorts…the property has uninterrupted view of the mountains…nice open lawn to enjoy coffee by the day and stars by the night..the rooms are very well done..and maintained..the food is like simple home made food…with various options like pastas and sizzlers too..not to forget…they serve gujarati & jain food also…even though the top 2 floors were not ready…they made it a point not to start work as guests were checked in….it was good to see all type of guests..family with kids, friends, senior citizens..and of course solo like me…the owners Manmeet & Manali , a lovely couple from Mumbai…who have virtually moved in here for the love of mountains.. their personal touch and attention makes one feel like home…they looked into it that all guests are comfortable. .be it stay..food or travel…felt like home…one of the unique thing i noticed was special offer to bikers…!! As Manmeet & Manali both are ardent bikers ..they offer Rs.999/- per biker ! So obviously they did have bikers vrooming in too..campfire. .good food (only veg..and eggs..but totally worth it..)..Good staff…awesome hospitality and above all view to die for…Samaa Resorts and the dashing duo..M & M made my experience most memorable. .. I was there second guest at newly started Fagu property…Samaa Resorts – Maya….and experienced. ..heaven…a beautifully located place…with serenity and peace that one requires…large rooms and lawns to walk around after overeating the delicious food..
Verdit : You walk in as guest and get friends for life….so Must must must go…Samaa Resorts & Kinnaur are interlinked..and bikersss…go for it…!!! Thanks for sharing the details, how about sharing some pictures and other details on the DoW Community forum thread too where it will help many others. We visited this place perhaps in 1994. It was just second year, when Govt. opened this place for Tourists. Earlier it was banned for tourists. There were no hotels, restaurants or Dabas or tea stalls or any type of shops or market or anyone selling any thing. Luckily, we had book PWD Guest houses every where and we took a small bus about 30 seater and we were 6 adult and 7 kids all below age of 14 to 2 year + one helper. We had all the ration for our 10 days trip. It was amazing and Best of Best trip and it still holds that position. Though we did enough research before going there, read so many books and did every thing to the finest level and enjoyed every second, I said every second. We even forget which day is today, during the trip, has to count our journey backing to calculate the present day in our trip. People were amazing in these areas, never met such Indians in our whole life. Very simple, polite, honest, sober, cooperative and welcoming. They treated us like God has come to the village. We felt like King during our trip. Your description and details are marvelous and I personally feel, as to why never bothered to go through them earlier. Such minute details and mostly with telephone nos. is best helpful and your research and actual visits and comments, make is most fantastic to read your well worded, simple enough description. Your links provide further in depth knowledge. I have read few books on travel, but none comes near to your live description with live and current telephone nos. which help us to reach to the last person, to make our trip with ease, satisfaction and we can leave to trip with peach of mind. One strange thing happened on our way back journey. When we were near Shimla, we asked our group whether they would like to visit Shimla for one day. But after seeing the freshness and beauty of Sangla, Kalpa, Ribba, and Chitkul, and on the way Sarahan, Rickon peo etc,. Shimla appeared to be Garbage, in front to natural beauty. I am generally lover of Off beat tracks. but being aged 65 now, I love easy destinations where we can reach easily. I love mountains, cascading water falls, local fruits at those destinations. Hi, planning to travel to spiti valley in Aug through Manali . Will it be risky or shd we go ahead with our plan?? When you do good deeds, thinking it is your duty or your way of style, please keep on doing, without anticipating any reward for the same. But GOD is there watching your selfless efforts, and he rewards in plenty, beyond our expectations. The work you are doing with such high level of dedication and ferfection with minute details, live links, live name of persons, and live telephone nos,, it makes as if whole world is in our grip and we can go to any place, with so much ease , which can not be described in words but can be experienced only by the person who use your information. Moreover, your information, to such vast level, certainly will be making hundreds or thousands of nature lover, always happy but they may not be writing back. I think, even I am associated with your Facebook for the last 2-3 years, but only now gathered courage to write few words. Actually, your work compelled me to appreciate your unrelenting efforts for a vast community of nature travelers. Your description is to such level, even if we do not go to those places, still we can feel and touch those places in our heart and feel like, as if we are on a tour there and every thing unfolding, in front of our eyes and we can breath in fresh air with fragrance of that place. Keep it up, it may be bring smiles on many faces, every time, you do some thing for them. Vasant Kunj, New Delhi, India. Thank you so much sir, means a lot !! We visited during Dussehra Holidays, It was best of best time, Amazing weather. Last days for Apples in Kinnaur, like Kalpa and Sangla. We are planning ti visit spiti on 22nd June. We planned like we will leave manali on 22nd June and after reaching kaza we will go for dhangkar same day. Next day we will return Manali touching chandratal lake. Can we cover manali to dhangkar in one day? Can you please share the contact details for Kunzum Guest House, Tabo? First of all appreciate your blog. It has been really helpful for us. We did the ladakh trip successfully using your reviews. Now planning spiti on the basis of your writeups, itineraries. Trying to contact Kunzum but unable to reach them on both the nos. Hi Dheeraj, We recently came back from our Spiti & Kinnaur Valley trip, thanks to you, we had a wonderful trip. 🙂 🙂 I would like to recommend Namsay Homestay in Tabo. It is situated in a beautiful and peaceful location. It is a traditional homestay with simple Indian, Chinese and Spitian meals. The culture of Spiti Valley is truly reflected here. It has all the amenities required for a comfortable stay. We had an amazing stay here. Dr. Suresh who manages the homestay is a very welcoming and knowledgeable person. He has worked very hard to ensure that the guests can experience the traditional feel of Spitian life. We really enjoyed our stay and would recommend it to everyone visiting Tabo. Dr. Suresh +91 94186 00825. Thanks Aditi, posted your experience here in DoW Community so that it helps others too. If possible, please share some pictures and the prices you paid too. I plan to visit : Delhi > Shimla > Sarahan / Narkhanda > Sangla > Chitkul > Kalpa > Chandrataal > Manali > Delhi. I want to visit with my family (myself, wife and 5 yrs old son) and parents (70 yrs, 60 yrs) during last week of May next year. Is it good time to visit the region if I intend to witness snowfall / view snow just on roadside. If not, what is the best time to experience snowfall as well as have a safe travel without much hindrance from road safety point of view? We plan to be around there during October 15-20–is there any advise in terms of the season? Is HPTDC’s Kinnaur Kailash better to stay than the Green Apple hotel? Any other recommendations? Pankaj, the time you are planning the trip to Spiti Valley is a bit cold and with such a small kid I will recommend that you please consider Kinnaur Valley given the less number of days in hand. Thanks a lot, Dheeraj. So HPTDC’s kinnaur Kailash will make for a good place to anchor and explore nearby? I will suggest with the budget it has, go with Grand Shangrila and stay with Prithvi ji, great person. Dear Dheeraj, thanks for your patience with my queries:). When I am looking for Shangrila, I am getting Shamba La on the web–is it the one? Do you have any numbers or links? Yes Pankaj. That is the one. Prithvi ji renamed it. Hi. I am travelling to Sangla-Chitkul in 3rd week Sep with a 2 yr daughter. Pls advise on roads quality at this time of year. Also advise should I get a PWD guest house/FRH at Sangla, or go for higher priced camps like Banjara/Baikunth/Kinner? Are facilities at PWD/FRH upto mark? Just got back from Spiti. Had this amazing homestay experience at komic/komik and thought I must definitely share with people visiting Spiti. Clean, attentive, basic but absolutely delicious food, friendly, very good English. Thank you so much for the details. Updated in the article. Extremely helpful and sweet people.. Thanks for this expansive and very helpful list, Dheeraj. HPTDC hotels in Kaza and Kalpa is decent though the Kalpa one is bit overpriced considering the service provided. Do note practically there is very little option once you cross Rohtang Pass before reaching Kaza (if you are taking Manali – Kaza route via Kunzum La), there are couple of guest houses with very basic accommodation. Thanks for the update Sujay. Narkanda: The HPTDC Hotel Hatu has a beautiful room for Rs. 1300. It is clean and faces the lawn with a beautiful mountain view. The attached bath is fully equipped with gesyer and all necessary amenities. So there is no need to go for any of the higher priced rooms. The hotel is a short uphill walk from the main chowk/bus stand. For people drivng in, there is ample parking space in the hotel. Reckong Peo: Stay options are mostly mediocre in the main bazaar. I am told that the Little Chef Hotel & Restaurant rigt next to the bus stand is decent. However, if you are palnning to stay near the bus stand which is a good 5-10 minutes drive uphill from the main bazaar, be aware that the options are very limited. We stayed at Hotel Shivling View which is located on the main road near the PWD Rest House. Were charged Rs. 900 to spend the night. The room was OK but the very poorly maintained. The sheets were unclean and we were given a used soap and towel. There was no water because they had left the taps running when the room was not occupied. Kalpa: We stayed at the Chini Bunglow for two nights. This is a very cosy place just above the main market. 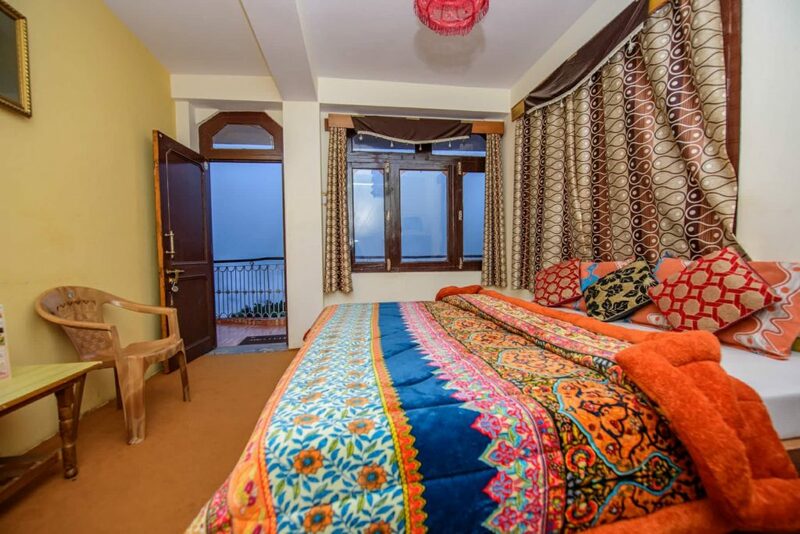 The Deluxe Rooms have a balcony which offers full view of the Kinnar Kailash. The placement is such that you are away from the hustle bustle in spite of being so close to the market. We paid the full rent of Rs. 500 per night though we were aware that a young friend of ours paid only Rs. 350 after some haggling. Chitkul: Here we stayed at the PWD Rest House which has a very good location and spacious rooms. But the caretaker Rai Singh, though a very friendly person, is very negligent of his duties. The bathrooms are dirty and stinking. There was no arrangement for water. He did not provide towels or extra blankets in spite of repeated requests. The sheets had not been cleaned. Note on places to stay in Spiti: If you are travilling in off-season (like we did), please understand that you are more of a guest in the places that you stay as against a customer. Even the bare minimumnecessities are offered to you out of kindness and not as a matter of your right. The staff of these hotels are yet to arrive after the winter break so all services are provided by the family of the owner. So please be understanding and cooperative. In our case, we pumped water from the tubewell and carried it across the road to our hotel instead of letting our host do it (though the owner was most embarassed when he learnt of this). If you feel this is not your cup of tea, do not travel to Spiti in off season … choose June to October for your travel dates. Kaza: Snow Lion and Bodhi Guest House were the only places operational in late April. Other places start operations in May and in some cases even June. Tsering bhai the owner of of Snow Lion and Sakya Abode is an amazing person and a very kind host. He very kindly organized a room and hot meals for us when we arrived unannounced in the dark of the night. This in spite of the fact that his hotel was not operational, he had no staff and he was extremely busy with the start of the sowing season. The rooms in Snow Lion are clean and have beautiful view. It is located on the outskirts of the town. The food we were served was delicious and the rates were more than reasonable. 1. I plan to go to visit Narkanda, chitkul, kalpa, tabo, kaza, losar manali. with my son 12 yrs. on a santro, starting 28 may 15 to 5 june 15. is the time safe to go on a santro. 2. I have not booked any accommodation.. carrying our own tent. can you suggest where all can we get place to pitch in our own tents. 1. Up to Losar it shall be fine but beyond that it will be very challenging and I think even the road from Kaza to Manali will not be open by that time as it opens in general by thrid week of June. This year delay is expected. 2. You can pitch your own tents anywhere but I will suggest you pitch them at a place where there are some dhabha tents put up by locals or where other camping guy pitch theirs or somewhere near some house in village or in their garden/lawn. All you will need is to gently ask them (villagers/dhabha guys/camping guys) for permissions. Most likely they will allow, other wise negotiate for small little tip or move on to some other such place nearby. This will give you sense of security too. Liked your inputs on spiti.